Mission #88 13 December 1943 to Bremen, Germany in B-17F Hell's Angels #41-24577 (358thBS) VK-D. Lost #3 supercharger at start of climb over England. #4 Engine was leaking oil and couldn't be feathered when approaching the target about 30 miles off the German Coast. The Pilot, Lt Glass, aborted the mission and returned to Molesworth. This was the last combat mission flown by Hell's Angels. Previous 48 missions were flown without an abortion. 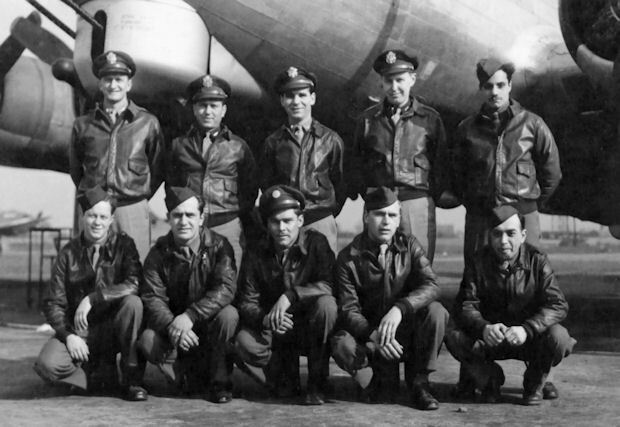 This flight abandoned the attempt of Hell's Angels to be the first 8th Air Force B-17 to fly 50 combat missions after being the first to fly 25 missions. Hell's Angels returned to the USA on 20 January 1944 for a tour of war plants. 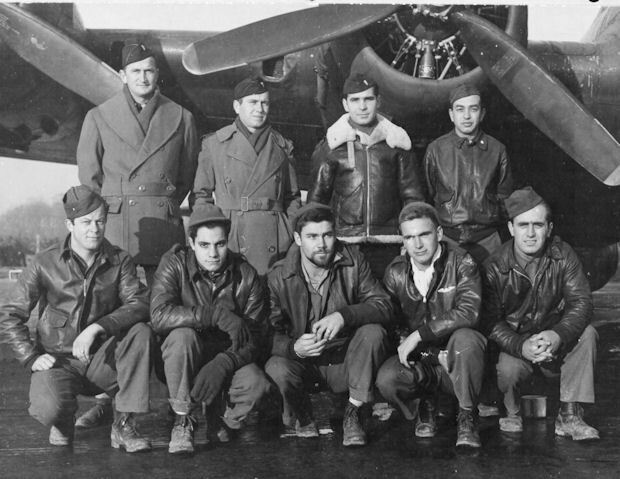 The 303rd BG(H) then adopted the name "Hell's Angels" as the official Group name. Mission #113 25 February 1944 to Stuttgart, Germany in B-17G Thunderbird #42-38050 (359thBS) BN-U. Mission was aborted when anti-aircraft shell fire wounded the Photographer Sgt Paul E. Buckley in the right leg. On the return flight alone Thunderbird received excellent fighter protection from P-47s and Spitfires. No enemy aircraft were encountered. Sgt Buckley was placed in the 303rd Station Hospital after a "red flare" landing at Molesworth which indicated wounded aboard. Crewmen completed their combat tours of 30 missions on 11 April 1944 with Lt McMahan (CP) completing his combat tour on 20 April 1944.